Have you ever met people in class who just seem to live and breathe what ClassPass is all about? You know who we’re talking about — passionate, happy go-getters who are inspiring you during and after class? Those people whose energy just seems to fill the room? Well, if you haven’t met one of them in class yet, we’re here to introduce you. Meet our first official ClassPass ambassadors! We’re so excited to welcome them to the ClassPass team, and we hope you’ll welcome them, too. Say hello and follow them on social media – they’ll be dishing out inspiration, class recommendations, energy and everything in between. Think you’ve got what it takes to be a ClassPass ambassador? Fill out this form and tell us why! Judy spent her time in theater and dance for 15 years but wasn’t a sports person. ClassPass not only helped her work out more consistently and try new workouts besides dance but it also helped her survive studying for the GMAT and applying for grad school. Follow Judy on Twitter, Instagram and her blog. Since most of Inna’s job is online, she’s made a big effort to get – and stay – active. She loves that ClassPass helps her explore and navigate different neighborhoods and studios as she travels around the city blogging. 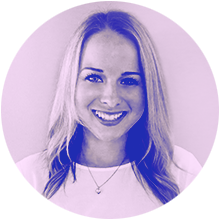 She’s been with ClassPass since way-back-when and enjoys trying new workouts – and writing about them! Favorite Studios: Embody Health, Kinesia Pilates, 5 Elements Fitness Mercer Island and Flywheel. Follow Inna on Twitter, Instagram and her blog. Evann has been a member since the Classtivity Passport, and not only has ClassPass introduced Evann to boutique fitness (and cross-training for races!) – but made it accessible, too. When she’s not busy with classes you can find her blogging, reading, traveling and trying new restaurants in the city. Follow Evann on Twitter, Instagram and her blog. Thanks to ClassPass, Chelsea stays healthy – and active! – while traveling nearly 200 days a year. She not only travels for fun, but for work, and with ClassPass Flex, she tries new studios, explores new neighborhoods and keeps her sanity on the road. Follow Chelsea on Twitter, Instagram and her blog. Before ClassPass, Carmelisa would force herself to go to the gym. Now, she credits ClassPass with helping her maintain a healthy lifestyle in LA and when she travels. Best of all? The energy she’s found is contagious and has inspired others to better themselves, too! Follow Carmelisa on Twitter and Instagram. After the 2013 Boston Marathon bombing, Sammee was inspired to run 26.2 miles in honor of those lost. She didn’t want an act of terror to instill fear in her and instead, she choose to actively live a full, vibrant life. Along the way, she discovered ClassPass and calls it her passport to sweat and cross-training. Follow Sammee on Twitter, Instagram and her blog. Though Maggie grew up as a dancer and soccer player, she decided to run a half-marathon in 2010. She finished it but swore it’d be her last. Five years later, she’s completed 12 more halves and 40 other road races. How does she keep up with all that pavement grinding? ClassPass of course! Follow Maggie on Twitter, Instagram and her blog. Eliza had a hard time finding workouts that would keep her excited about a healthy lifestyle, but now, the variety of ClassPass keeps her engaged and motivated. She’s also bonded with her favorite instructors who see her weekly. She feels strong, fit and most importantly, happy! Follow Eliza on Twitter and Instagram. When it comes to exercise, Lauren has tried everything. From at-home DVDs and hillside yoga to working in the fitness industry, she’s the definition of a life-long enthusiast. Since finding ClassPass, she has made it her mission to explore and report on the plethora of different classes on her blog. Follow Lauren on Instagram and her blog. To Jesica, ClassPass means freedom in fitness: discovering and exploring sides of fitness…on your own terms. It also means trying new things, getting strong to run stronger, supporting local businesses and fitness entrepreneurs. And she should know: as a certified marathon coach – who has finished 8 marathons, 10 half marathons and two half-Ironmans – ClassPass is her cross-trainer. Follow Jesica on Twitter, Instagram and her blog. What does Kate love the most about ClassPass? It not only allows her to live her best, active life, but she’s met likeminded new friends through the class variety. And bonus? Thanks to exploring new workouts across the city, she’s discovered the best of NYC’s neighborhoods. Follow Kate on Twitter, Instagram and her blog. Though she’s always been active, Cassidy appreciates how ClassPass keeps her accountable for her workouts. And thanks to classes all over the city at varying times, she’s able to to fit in exercise, not only when she’s home, but when she travels, too. Best of all though, she’s been able to discover new studios and experiences that without ClassPass, wouldn’t have been possible. Follow Cassidy on Twitter, Instagram and her blog. 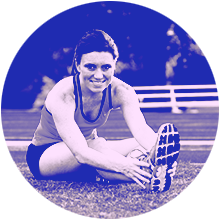 After developing achilles tendinitis from running, Carolyn felt stuck. Though she once looked forward to working out, it felt like a chore. But since joining ClassPass in January – which she calls a game-changer – she’s taken more than 175 classes, and her passion for exercise has never been brighter. Follow Carolyn on Twitter, Instagram and her blog. No matter how much you love your daily life, there’s something about stepping outside of your comfort zone that is inspiring. For Ariel, ClassPass is just that. The excitement of a new studio adds to the endorphins for her, and she likes classes for all-levels that give you positive reinforcement throughout. Follow Ariel on Twitter and Instagram. For Michelle, ClassPass has opened up a new community of active living motivators. As a proud bone marrow donor who has recruited 80 new donors after her sister lost her battle to cancer in 2008, it means a lot to Michelle that she stays healthy and active and inspires others to do so, too. Follow Michelle on Twitter, Instagram and her blog. Like so many ClassPassers, Debbie is easily bored, but loves being inspired. ClassPass keeps working out exciting, and has been her ticket to fitness as she gets ready for her upcoming wedding in October. When she is not sweating in class or planning for her nuptials, she is testing out new recipes, shopping at the farmers market and playing with her camera. Follow Debbie on Twitter, Instagram and her blog. Athena’s favorite part of working out might just be what comes after it: smoothies, protein-packed breakfasts and dinner dates with her fitness friends. Thanks to ClassPass, discovering new classes, trends, studios and neighborhoods in Boston has been easy, and luckily, her friends are right there sweating with her. Follow Athena on Twitter, Instagram and her blog. ClassPass helped Rachael stay in tip-top shape for the big day, sure. And it inspired her to start a fitness blog chronicling her journey finding new studios and classes. But the most powerful thing ClassPass helped Rachael with? It made her feel great about herself and gave her a stronger, healthier confidence in who she is. Now, that’s a win-win! Follow Rachael on Twitter, Instagram and her blog. Aileen is a runner with a horrible streak of never using her gym memberships. But that all changed when she found ClassPass. ClassPass helped her break that streak and provide her a fun and affordable way to mix up her fitness routine. Not only does she actually make it to class, Aileen looks forward to booking and attending classes all over NYC. Follow Aileen on Twitter, Instagram and her blog. When it comes to finding a fun way to stay active, try new exercise experiences and be accountable for her workouts – Sabrina was never much of a gym-goer. There was something stuffy and boring for her about using the equipment and actually making time to go. But with ClassPass? It’s everything she loves about working out: variety, challenge and the discovery of new friends, moves and neighborhoods. Follow Sabrina on Twitter, Instagram and her blog. After never finding a form of working out that he actually enjoyed, Adam says that ClassPass finally made exercise fun for him. Thanks to the variety, he’s able to vary his workouts and increase his strength. Before ClassPass, he could only lift 10-pound kettlebells, now he’s using 26-pounds kettlebells, no sweat. Favorite Studios: EVF Performance, Swerve Fitness, BFX Studio, FlyWheel and Title Boxing. Follow Adam on Twitter, Instagram and his blog. Elizabeth was never an athlete, but after she put on some weight in college and went through a bad break-up, she decided she needed a goal. That’s when she signed up for a half-marathon. After completing it – she ran a few more. And finally, a marathon. These days, she’s enjoying time with her niece and pup, and using ClassPass to cross-train. Follow Elizabeth on Twitter, Instagram and her blog. Not only has Genevieve completed the New York City marathon, but she is also a certified fitness instructor. Her favorite thing about ClassPass is that it constantly spices up her workouts, so she never gets bored and uninspired to make it to a workout. Follow Genevieve on Twitter and Instagram. Thanks to ClassPass, Chandra-Emmanuelle doesn’t have to miss a beat when she’s traveling for work or for fun. Plus – she doesn’t fall into a fitness funk because her routine is so varied. She can go from rowing to Pilates and feel not only balanced, but excited about what’s next.